Dull skin got you down? We hear ya! There’s nothing worse than drab, dry skin – especially when you’re itching to slip into that brand-new bikini. And while there are plenty of good scrubs at your local beauty supply, there’s nothing more fun (and budget-friendly!) than whipping up a killer iteration right in your own kitchen – the DIY way! Intrigued? We thought so! 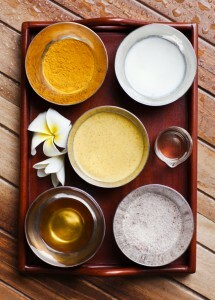 Read on for DIY exfoliating treatments that will get your skin in tip top shape for summer. 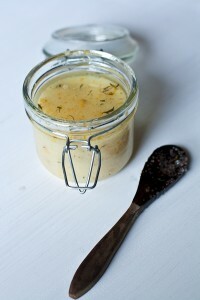 Isn’t it about thyme you take care of your skin? This sweet and simple DIY scrub will leave your skin soft and smelling good enough to eat! This easy-to-make concoction is jam-packed with antioxidants, natural cleansing qualities, and can even treat pigmentation problems! Pour salt into a clean, sterilized container with a tight-fitting lid. If you’re using plain salt, add the lemon zest and thyme. To use, stir and mix the oil and salt together, and scrub away in the shower! Wake up and smell the coffee! Everybody’s favorite morning pick-me-up just got a whole lot better! Did you know that coffee not only stimulates your body, but it stimulates your skin, too? Thanks to anti-inflammatory effects, it’s designed to boost collagen production, leaving skin soft, smooth, and seriously supple. Combine 1 tablespoon of ground coffee with 1 tablespoon of olive oil. The one-two punch of vitamin c filled oranges and moisture-packed coconuts will boost collagen while also giving dull, dry skin the hydration it craves. The best part? 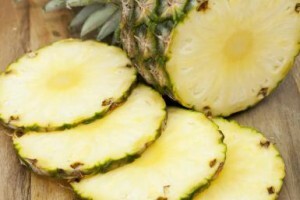 This fruity facial fix will leave you smelling like you just stepped off the sand. Fill a jar with the sea salt, adding in the raw sugar on top. Pour in the coconut and essential oils, and finish with the 30 drops of orange juice. 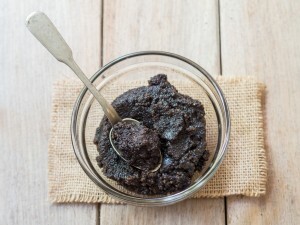 Keep your skin cool, calm, and collected with this energizing homemade sugar scrub! 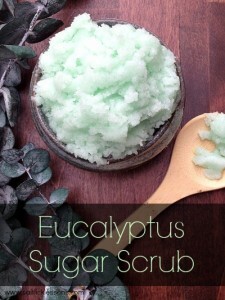 This super-simple scrub is made with eucalyptus oil, coconut, and sugar to enliven the skin while also supporting healthy circulation and moisture. Combine coconut oil and one cup of the sugar in a bowl and mix until creamy. Add essential oil while continuing to stir. Add remaining sugar until the formula reaches the desired consistency. Need a break from the scrub? We got you covered! With this fantastic exfoliating mask, you can enjoy the rejuvenating benefits of pineapple and papaya and the calming qualities of honey. Apply it to the skin, relax, and enjoy. Mash the fruit together until it’s in a pulp. Apply mixture to skin and leave on for a few minutes..
Rinse with warm water and press skin with a warm washcloth.